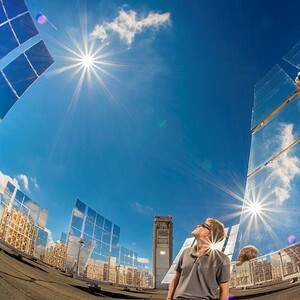 Sandia National Laboratories, in collaboration with the Electric Power Research Institute (EPRI), brought a reliability focus to photovoltaic (PV) plant operations and maintenance (O&M) as part of a cooperative research and development agreement (CRADA). The CRADA helped electric-utility-owned PV plants better understand how to catalog and learn from faults and failures on their systems and provide insight into PV O&M budgeting, which helps reduce the risk and cost of PV investments. 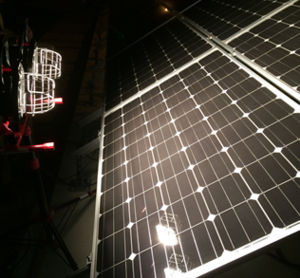 The work supports the Department of Energy's (DOE’s) goal of reducing the levelized cost of energy for PV in order to make it competitive with other sources of energy. In order to understand and quantify the hazards of PV arrays to firefighters, Sandia has been conducting tests in a variety of environmental conditions, including ambient lighting, artificial illumination, and daylight. Results show that proper personal protective equipment and array segmentation strategies are important to minimize risk. On August 24th, more than 50 people attended the first Distributed Energy Resource (DER) Cybersecurity Workgroup webinar to define best practices in cybersecurity for DER and drive concepts that emerge into national and international standards. The next webinar will be held Sept 7. On Aug. 21, 2017, the solar eclipse reached its midpoint at approximately 11:45 a.m. MDT in Albuquerque, blocking about 73 percent of the sun. Sandia solar energy researcher Josh Christian and his colleagues will investigate the effects of 2017’s eclipse on the ongoing research performed at the National Solar Thermal Test Facility (NSTTF). 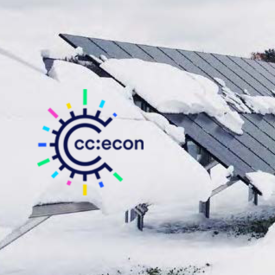 During the Catalysts of the Climate Economy Summit Sept 6-8 in Burlington, VT, Sandia will guide participants through the Vermont Regional Test Center (RTC)—one of five DOE sites across the US used to analyze the performance of emerging solar technologies and help drive innovation in the US. Sandia will be exhibiting at the largest solar trade show in North America, Solar Power International, in Las Vegas, NV Sept 10-13. 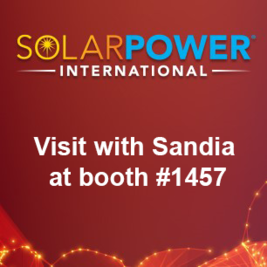 Stop by booth #1457 to learn more about Sandia's solar power R&D capabilities in PV and concentrating solar power, world-class facilities, and partnership opportunities. The DOE Sunshot team will also be there (booth #1469), so be sure to check out their workshops. 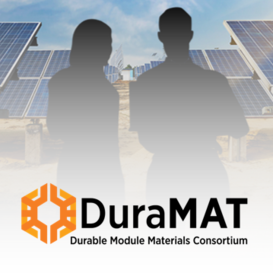 The Durable Module Materials (DuraMAT) Fall Workshop will be held in Albuquerque, NM, Nov 7-8, and will provide a platform of communication for national labs, universities, and PV and supply-chain industries. A half-day tour of Sandia is scheduled for Nov 8. Due to badging requirements, foreign nationals must register for the tour by Sept. 6.